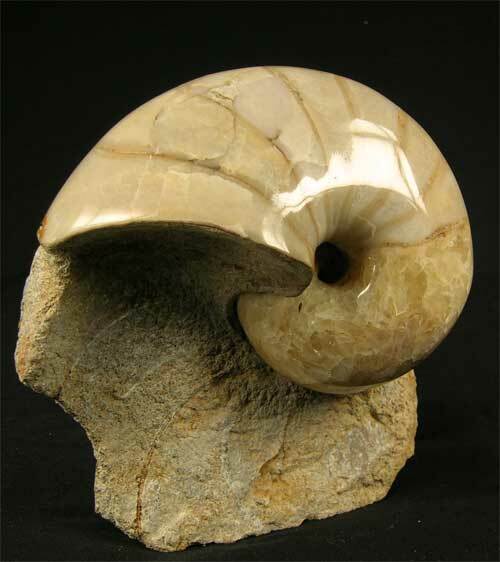 High quality display Nautilus are highly sought after by collectors and interior designers alike. 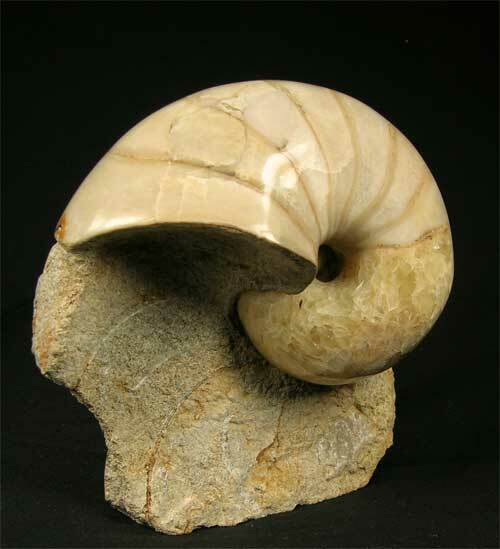 British Nautilus such as this one are becoming extremely rare thesedays. 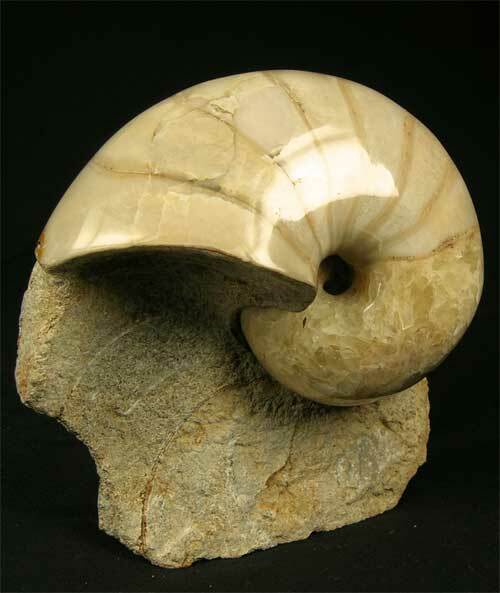 The Nautilus is preserved in different shades of yellow calcite and has lovely detail throughout. 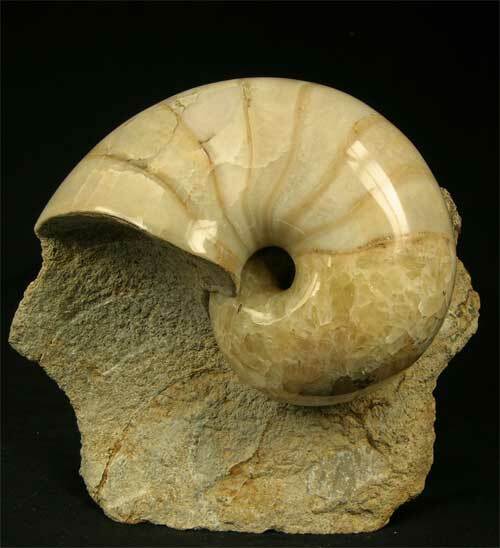 The matrix has a cut base for ease of display and is approximately 167 million years old. A high professional polish has been applied to the Nautilus.